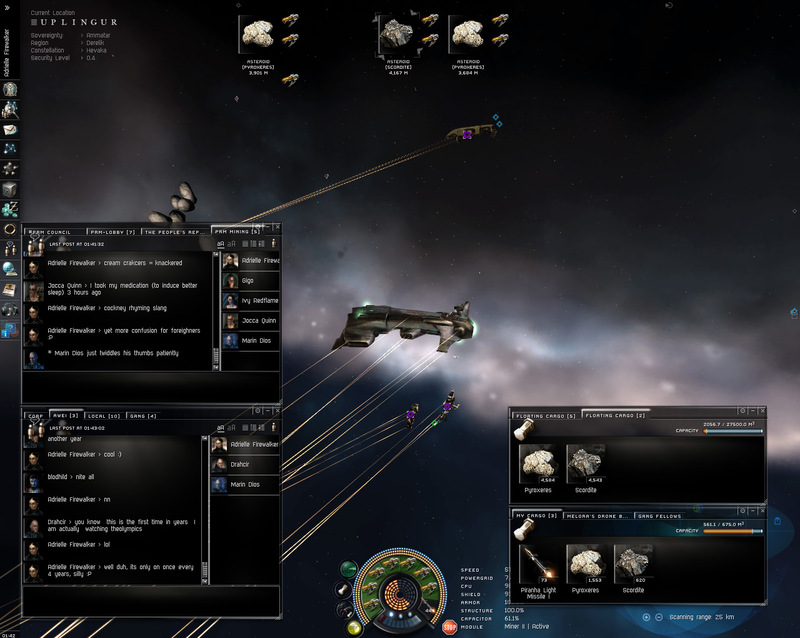 I’ve used that screenshot before on this blog, I’m aware of that, but its the oldest Eve screenshot I have, so it sort of fits. 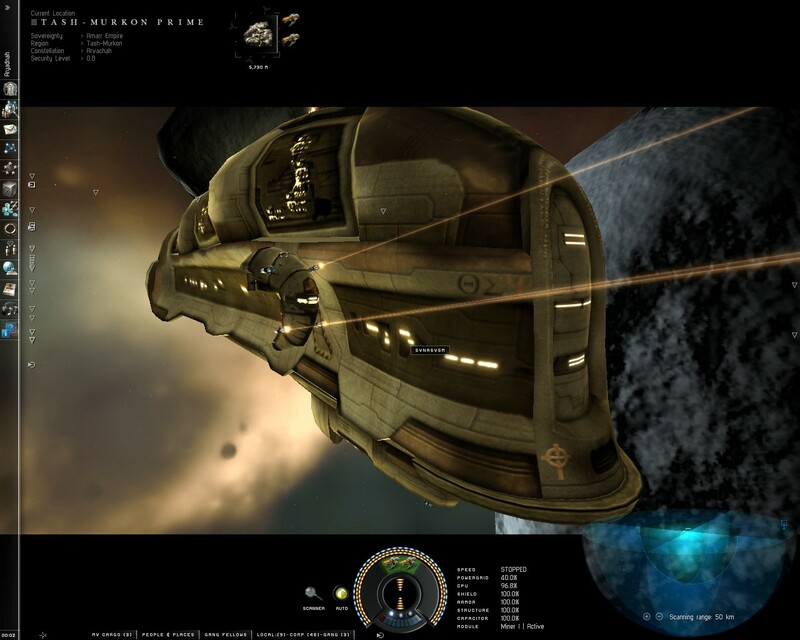 I have a few of some interesting RP events from 2004 and onwards as well, such as the Uplingur mining operation, where we literally stole every single rock in the system from the Nefantar, who were (at the time) trying to nick Minmatar ore from our systems. Purely reactionary response, but highly effective in both morale terms and productivity! 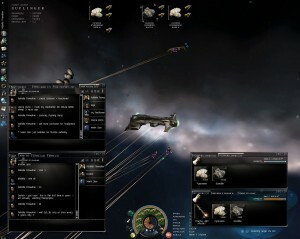 The PRM mining away in Uplingur. Click to embiggen! 2005 and 2006 are where the majority of the screenshots reside. I’m not sure why I was so snap-happy in those years compared to the others. The number of screenshots peters out after then as well. My slightly eve-ified workspace at home. Its very spacey! Musings on the potential uses and features of the upcoming COSMOS Eve social networking tool, humorously dubbed by the community as ‘Spacebook’.